You may soon be able to get a pair of eye glasses that takes pictures. However, it’s not what you think. They’re not some secret, James Bondian, spy app spectacles. They’re glasses designed for the seeing-impaired. A company on Campfire (the Japanese version of Kickstarter) has been developing smart glasses that can translate text to voice for those with reading/sight issues. The Oton Glass, as they’re being called, are estimated to cost about $47 each upon release. The Campfire campaign has a goal of $93,500 to develop and get them out to consumers. The Oton Glass’s lenses are equipped with two small cameras and an earphone on each side. 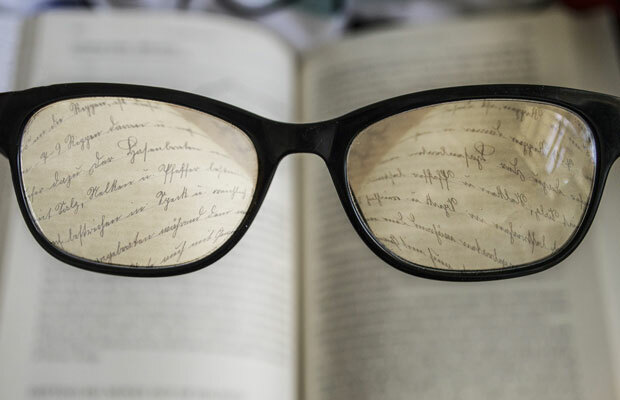 One half of each lens is mirrored so that it can track the wearer’s eye movements and blinks, in order to help convert what they are reading to voice. The way the tech works is the mirror reflects the eye movements for the camera (which faces inward). The user blinks their eyes to take a snapshot of what they are looking at. That capture is then sent to the Oton’s Raspberry Pi cloud system. The Raspberry Pi is a dedicated server that analyzes the text and converts it into spoken word, which is then sent through the glasses’ earphones. The server is backed by remote workers who are available to troubleshoot any problems with the product. It’s all a bit like Google’s Translate feature. However, in order to use that, you have to swipe your phone over text in a book or article in order to convert it. That can feel clunky. Being able to blink your eyes would be much more natural (once you got used to it). Of course, as with any tech this new and untested, problems will likely arise. If the system finds itself failing over and over again, users won’t be sticking around. The developers of Oton Glass have just over 12% of their 10,000,000 yen goal so far. That’s only about $12,000 U.S. dollars. They still have a long way to go. 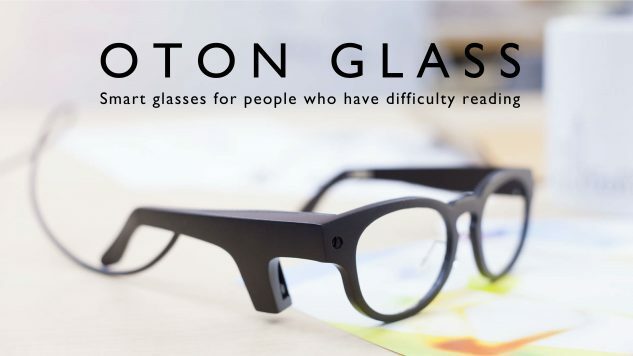 While that may make it seem like there isn’t much interest or faith in the glasses, backers and future users might be buoyed by the fact that the Oton did place third in the 2016 James Dyson awards. The James Dyson Foundation seeks to inspire young people to reach their full design, inventive, and engineering potential.